Delta combines the ultimate cargo functions with flattering and elongating seam lines. Its angled pockets lengthen your silhouette and compliment your figure. 2 front hidden zipper pockets, 4 angled side pockets, 1 interior smartphone pocket, 1 scissor loop + pen slot. Seriously comfortable, reinforced ribbed elastic waistband. Discreet scissor loop and pen slot for added utility. We’ve combined the ultimate cargo functions into a chic athletic pant fit, with elongating seam lines and angled pockets that lengthen your silhouette and compliment your figure. Great scrubs! And great customer service! I had a minor issue with my scrubs and I called custom service and they were very friendly and accommodating. They corrected the problem and now I’m enjoying my awesome scrubs! I usually wear lose scrubs, but this medelita was recommended to me by another nurse and I ordered them! I get a lot of compliments when I wear it at work . I feel good wearing it. It feels comfortable, first time using stretchy scrub! The fit is great! Give me the woman’s curb! I absolutely love it! Fits great and it is very comfortable. These pants have a sporty look. The material is soft and very comfortable.The fit is true to size and looks great!!! In love with these scrub pants. I never have to worry about iron them and the best part they fit like a dream. Great pants! Fabric is soft and comfortable. I sized up for less form fitting appearance in thighs and hips, but draw string waist keeps pants in place! I'm happy with all Medelita purchases and customer service. Will definitely be purchasing more scrubs in the future. Q: I am 5’10” and curvy. Will these pants be long enough? I was told you would email me specifics about this but never received an email. A: Hi Bella, thank you for taking the time to write us a question about the Delta pants! The inseam for the pants is 32 inches, so it just depends on the length of pants you generally buy. They're is room to have them extended an inch as well. The Delta's are going to be a skinny fitted pants and I personally think the Argon fit curvy better. Q: Hello, I love your scrubs! So much so that I ordered 3 more pairs after receiving my first sets. The first sets I ordered were Argon pants and horizon tops. I ordered a medium in the tops and medium in bottoms. Unfortunately tops were way too big so those I re-ordered and returned the mediums. Bottoms fits great, a little snug in the thighs but the stretch works so well that I don’t mind it. I contacted customer service about the fit of the Delta and whether the sizing is the same as Argon. I was advised to size up for the Delta, so I ordered a large. I haven’t received them yet but after reading more reviews I am worried the large are going to be too big. I know I can exchange but is there any way to do an expedited exchange? I live all the way in Massachusetts so it takes about a week to get delivered and I’ve been so anxious to get these scrubs that I don’t want to wait another 2 weeks to exchange for the correct size. A: Hi Celeste, thank you for taking the time to write us a question. We offer complimentary returns and exchanges that you are able to take advantage off. Exchanging typically take 2 weeks. If you need the pants sooner, then we recommend simply returning the pants for a refund and placing a new order for the correct size. New orders will ship out the same day if the order is placed before 2 PM PST Mon-Fri. Shipping to MA takes 3-5 business days. Q: I am 5'10" and curvy. Will these scrub bottoms be long enough? 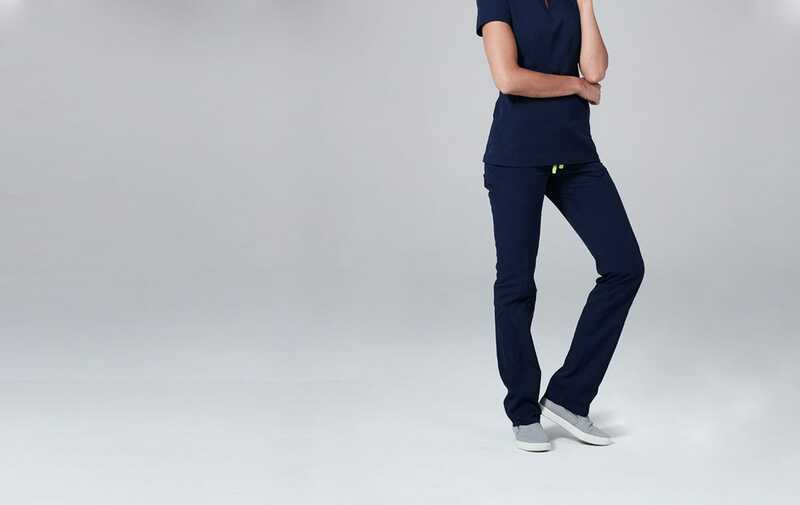 Thank you for taking the time to ask a question about our Delta scrub pants. We are always more than happy to help you find your perfect size and style in any of our garments. We realize there are a wide variety of body types which affects the fit per each garment. I have sent you a personal email regarding specifics so that I can help you better! Q: Do you have any products that have 50%+ cotton? Thank you for your question. Unfortunately our products are not made with 50% cotton. However, we only use the highest grade of both polyester and cotton for all of our lab garments and the quality is just as great! Please feel free to try these risk free. Q: How long are the delta scrubs? I need tall scrubs or they look like floods on me! A: Hi Hannah, thank you for taking the time to write us a question. The Inseam of the Delta pants XXS-XXL is 32 inches. All of our pants are able to be lengthened 1". We unfortunately do not offer women's pants that has a longer inseam than 32 inches. The men's Summit pants are going to be a little longer with a 32.5 inch inseam and some of our women customers do order the men's for added length.